Driving your own car to the airport is a good way to miss your flight for the simple reason that you may spend more time than you think stuck in traffic and parking your car. It’s one of the main reasons you should take another method of transportation. However, taking a cab or ride share is never a guarantee that you’ll make it on time. Cabs and ride shares can sometimes be late – or hard to find. The last thing you want to do is depend on a ride share only to find out there are none in the area – or your app isn’t working properly. 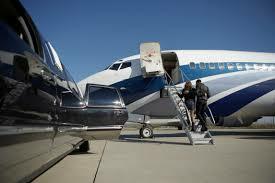 With an airport limousine service, you can schedule a limo to come pick you up at a specific time. If anything should happen to the limo on the way to pick you up or on the way to the airport, a professional limo company will have a backup ready for you. Driving yourself to the airport can be extremely stressful, especially if you’re running late. Taking a bus, cab or ride share can be quite uncomfortable as well – especially if you have a lot of baggage and are traveling with other people. You can choose from a number of different limousines to ensure that you’ll be comfortable on the way to the airport as well as on the way back – after all, you’ll want a comfortable ride back after spending an especially long time sitting on your flight. Not only can you split the costs of an airport limo service if you’re taking a limousine with a number of other people, but the cost of hiring an airport limo service won’t seem nearly as expensive when you compare it to the money that you would have had to spend on gas and parking at the airport if you had driven yourself. If you’re going to the airport to pick up a family member, business client or business partner, then there’s no better way to make a positive impression than by picking them up in a limousine. This shows that you care enough about them to make an effort and ensures that they have a comfortable ride from and back to the airport. Driving yourself can be a lot riskier, especially if you’re in a hurry and driving faster or more reckless to attempt to make your flight on time. Limousines are driven by professional drivers that have the proper training to drive safely. Not to mention that there’s always a risk of your car being damaged when leaving it parked at the airport parking lot for a long period of time. As you can see, there are plenty of reasons why you should consider hiring an airport limo service the next time that you have a flight. To book our airport limo service or to find out more information about our other limousine services, be sure to contact us at Signature Transportation today. This entry was posted in Airport Limousine, Airport Shuttle, Charlotte Limousine Service, limo, Limousine, Travel and tagged airport, limo, limousine, taxi, travel. Bookmark the permalink.